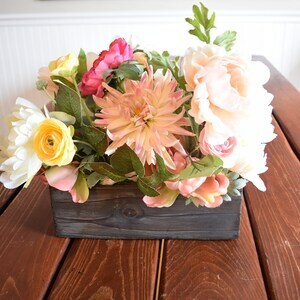 Measurements: 4" deep, 12" wide, approximately 10" tall from bottom of box to top of greenery. 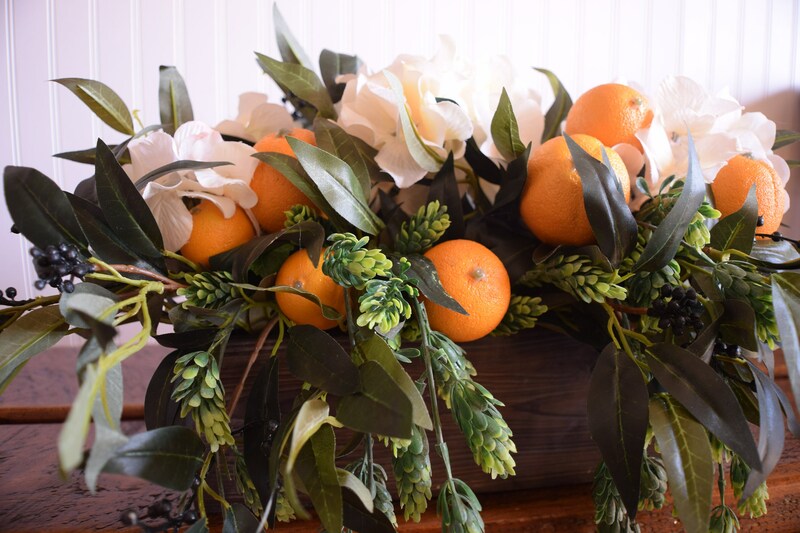 This beautiful farmhouse centerpiece is sure to wow your guests! 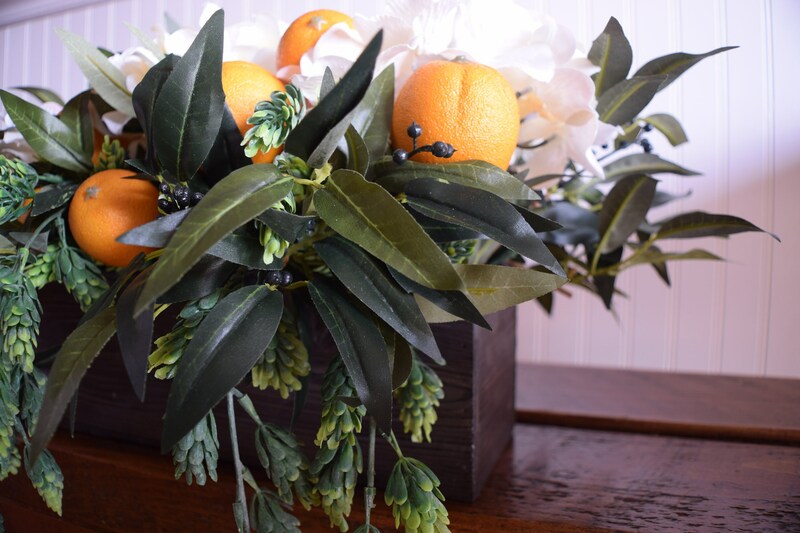 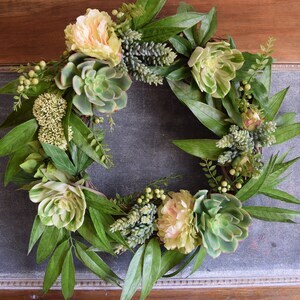 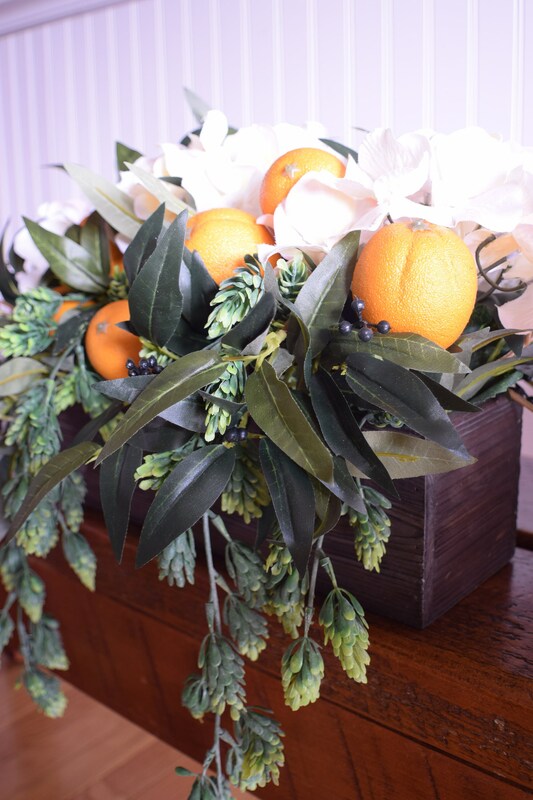 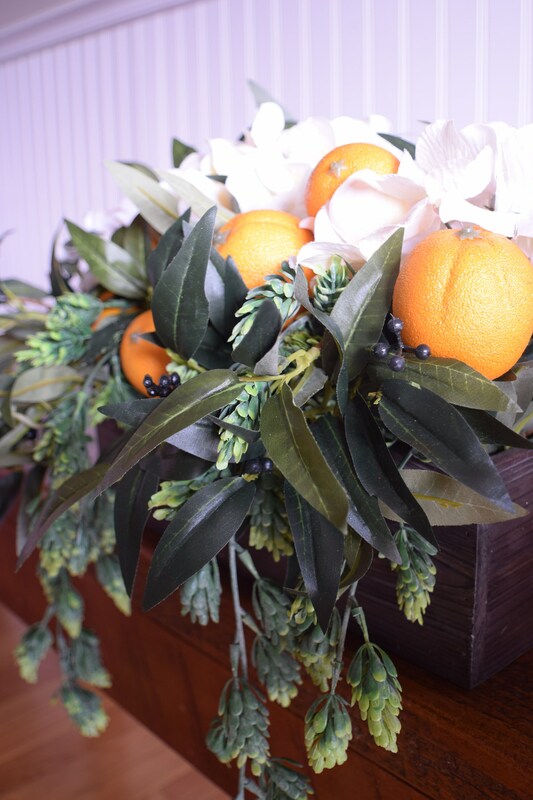 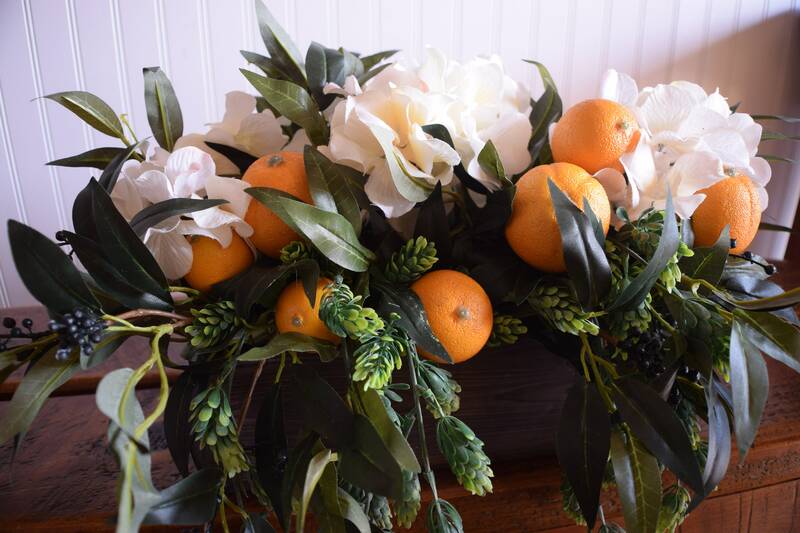 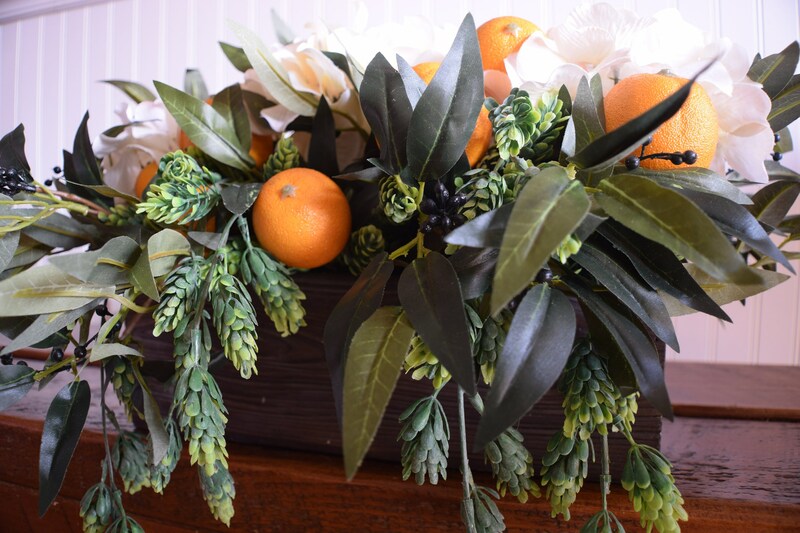 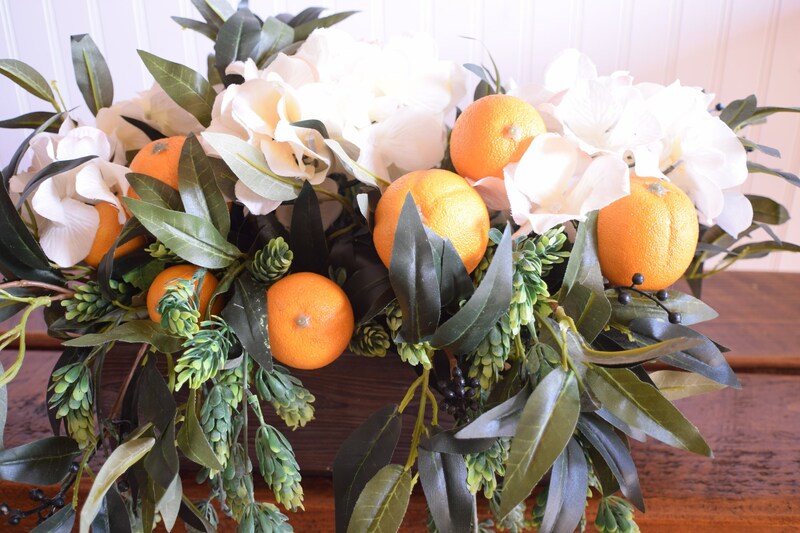 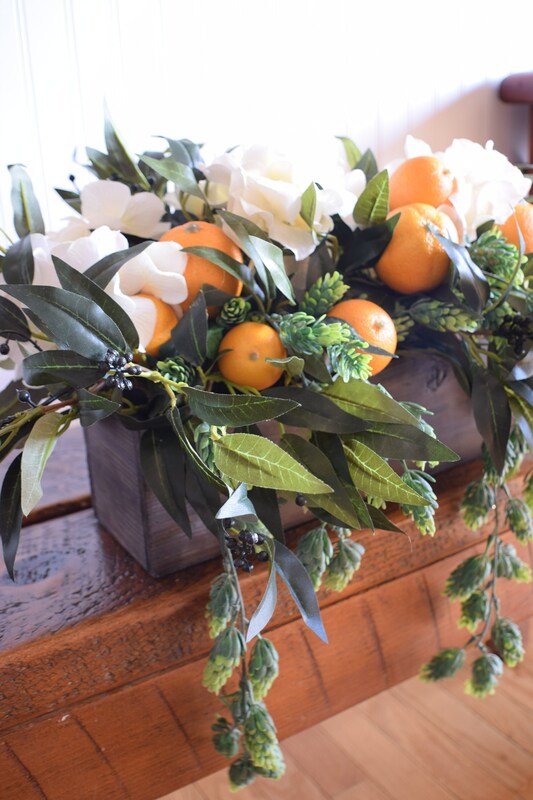 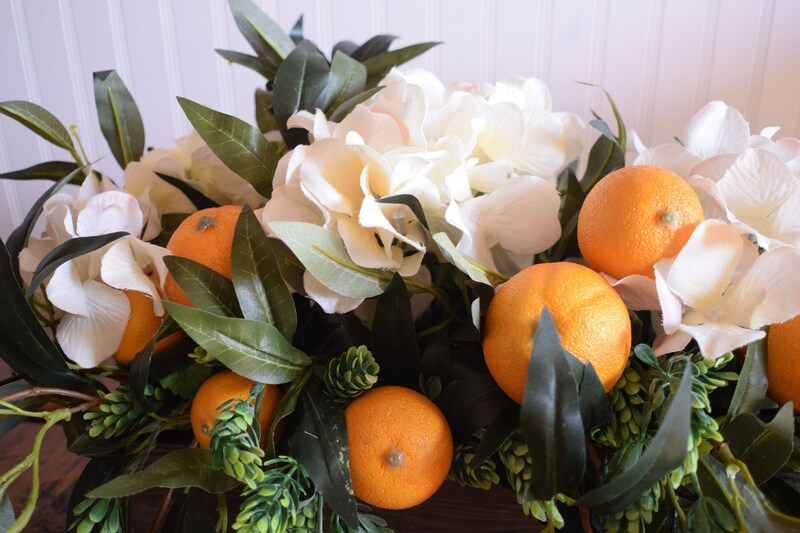 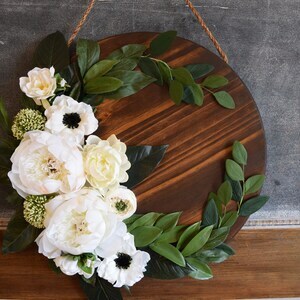 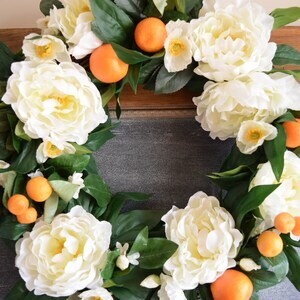 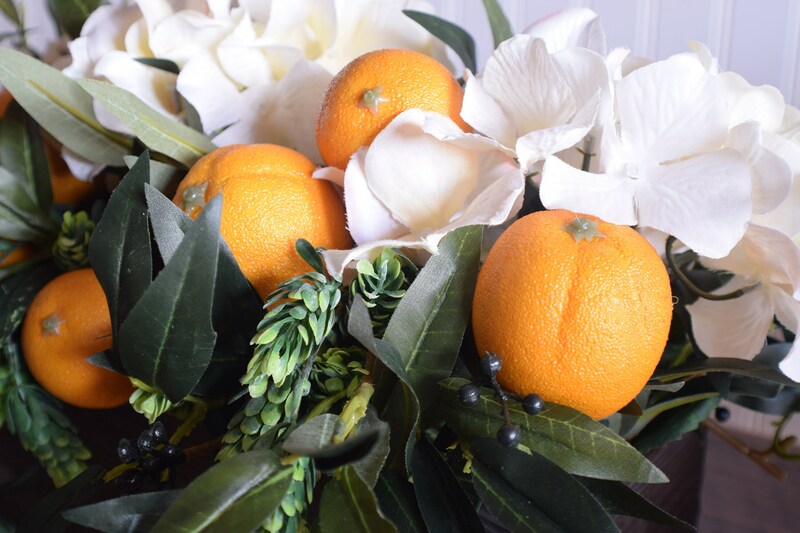 Made using a solid wood box and full of cream hydrangeas, oranges, quince, bay leaves and hanging vines of hops.